By popular demand I have added extra large 2.5 inch hoops to my line of hoop earrings! You may choose sterling silver, 14k yellow gold filled, or 14k rose gold filled for your hoops. These earrings are extremely lightweight and easy to wear. 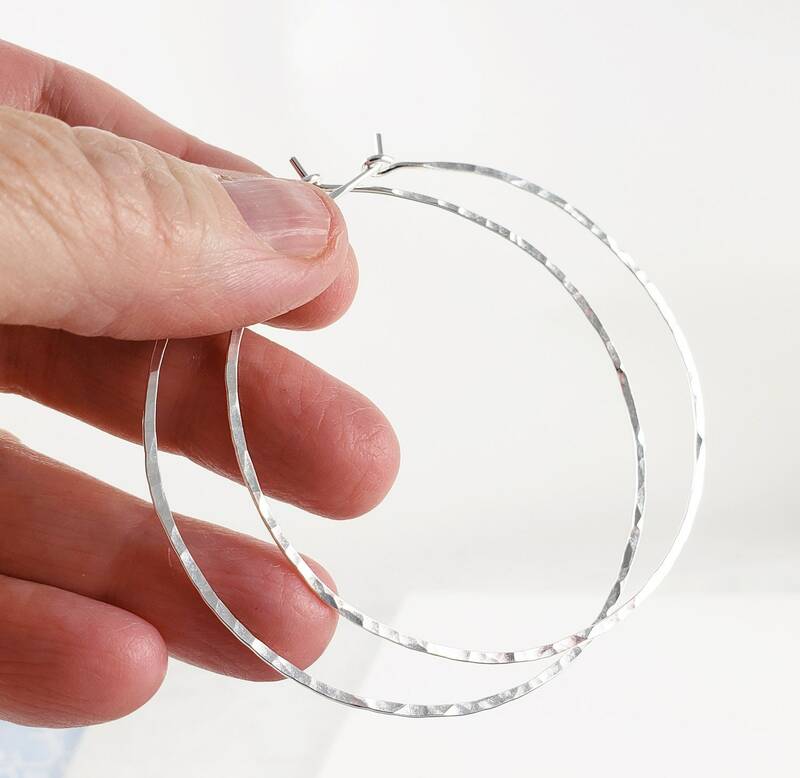 They are made with 18 gauge wire, so please do be sure that your piercings can handle them. These are not for small or new piercings but will work for many. They come nicely gift boxed.